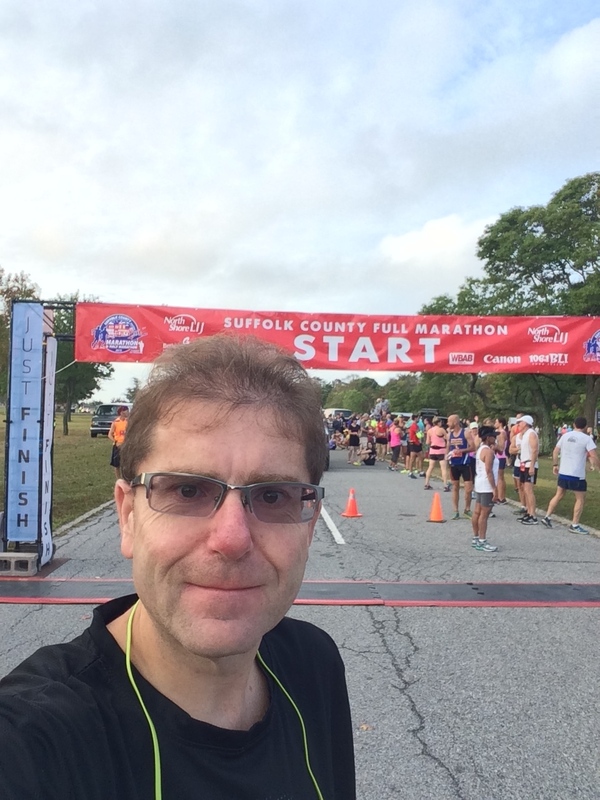 Kudos to Suffolk County for putting on a great 1st Suffolk County Marathon on September 13. Nice flat course through several downtowns led by the Suffolk County Executive Steve Bellone. I finished in the 40% so I was relatively happy about that. The weather was nice and Heckscher State park, where it started, was a terrific venue. This was marathon # 10 for me, and I’m happy to be in double digits. Unfortunately, I still can’t seem to get even splits and not sure I ever will be able to. i saw two great signs along the way. One was a family whose shirts all read “Trained Marathon Spectator”. I was jealous. The other, at mile 20 was something to the effect of “Have a great 10K; hope your 20 mile warm up was good”. Marathons for me are not one big race, but many small races. First is the “half” then I break it into a series of 5k races until I finish. To paraphrase Nemo “just keep running”.